For the last few weeks I have working on various stages of this post. Some versions had the beginnings of what made this show appealing to me. Other revisions had a simple graphic and a thank you. Each time I wrote something I felt that it wasn’t doing proper justice to the show or what I was thinking and for a show like this I think it would be difficult to properly convey everything you feel about it. With that said, tonight is the series finale of Battlestar Galactica. Since the air dates of this season were announced over six months ago I have had March 20th noted on the calendar. It seemed like such a long time to wait, I felt that I could prepare myself for its end, but once 2009 began and the final episodes of the season started to air it flew by. For the last sixteen months I have devoted a lot of my time and energy into this show, probably more than I have with any other show in that time. It is a bittersweet thing to see a show you love go off the air, one that I haven’t felt before. How did fans of Six Feet Under, The Sopranos or The Wire react when their show drew to a close? What will it be like watching the final minutes of the show air before wrapping up the television season for good? 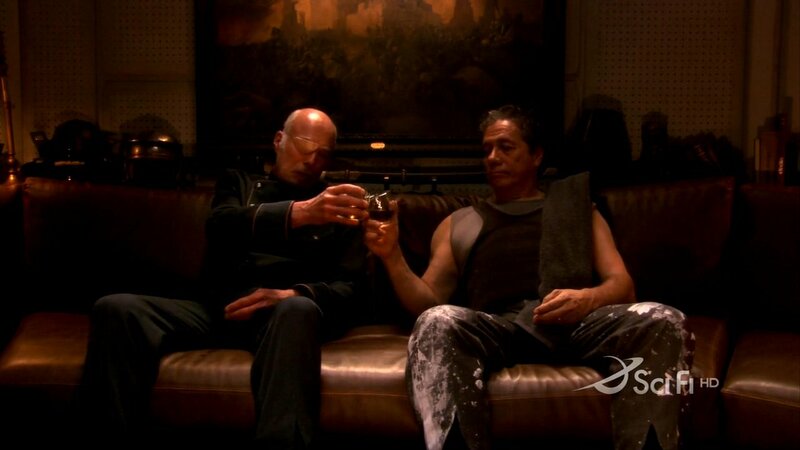 I haven’t thought about what life after Battlestar Galactica would be like, it’s a topic I don’t want to dwell on. Instead I will focus on the now and realize that in five hours it will all be over. To Galactica, the best ship in the fleet. You will be missed but never forgotten.